A phone call is often the first and most important impression a business can make on a potential customer or partner. So if you are looking to enhance your San Diego business with professional, courteous, and accurate telephone answering services, choose LaBell Exchange. In business since 1975, we have helped thousands of Southern California businesses lower their overhead costs, enhance their image, improve efficiency, and boost profitability. Together with competitive prices and hassle-free service terms, we offer San Diego's best value in call center services. We are a family-owned and -operated business that always prioritizes the satisfaction of our San Diego customers. That's why we use state-of-the-art telecommunications equipment and software, hire experienced phone operators, and deliver reliable answering services twenty-four hours a day. Our call center services available in San Diego include live-operator assistance, customer service, message taking, order taking, dispatching, scheduling, inbound phone surveys, inbound telemarketing, voicemail, advanced message delivery, translation services, virtual receptionist services, and local and 1-800 phone numbers. All clients and calls are kept confidential; we comply with HIPAA guidelines; and our staff includes a number of bilingual (English and Spanish) operators. When you work with LaBell Exchange for all your answering service needs, you truly can't go wrong. A seven-time winner of the Association of Teleservices International (ATSI) Award of Excellence, we have a proven track record for delivering exceptional answering services for our clients. Additionally, we customize our answering services so that we can best meet the diverse needs of our valued clientele. As a result, we have been trusted by lawyers, bail bond agents, property managers, doctors, dentists, municipal water districts, tow truck drivers, roadside mechanics, roofers, plumbers, and many others in and beyond San Diego. So give us a call and learn more today. At LaBell Exchange, we provide towing companies in San Diego, Orange, Los Angeles, and Riverside Counties with 24-hour telephone answering services available at rates starting at just $40 per 28-day billing period. Our call center services can be adapted to meet the needs of any San Diego towing company, whether the company owns a single tow truck or manages a fleet of them. Possible services include radio or cell dispatching, advanced message delivery, priority queues, voicemail features, and more. Simply let us know your call center needs and our team of professional and courteous operators will do the rest. Our operators answer most calls within 3 rings and are thoroughly trained to assist distressed callers coping with flat tires, auto accidents, impounds, or parking violations. To learn more about our tow truck answering services in San Diego, call today. With over 39 years of industry experience, LaBell Exchange knows how to customize its call center services to meet the needs of plumbers, auto mechanics, roofers, HVAC (heating, ventilation, and air conditioning) professionals, and other service-oriented businesses in San Diego. Our prices are very fair and we can adapt our call center services as often as you wish. Choose from 24-hour appointment scheduling, dispatching, advanced message delivery, priority call routing, voicemail trees, customer service, and more. We can also set up hold greetings or operator scripts to answer frequently asked questions by prospective clients, such as your hours of operation, service rates, policies, areas of expertise, and more. So call today and learn more about our service industry answering services in San Diego. San Diego equipment rental companies can count on us for an excellent telephone answering services. Our answering service is designed to reduce your overhead costs while increasing your ability to handle high call volume. Additionally, we can help you become more accessible, improve the level of customer service you provide, take orders, screen potential clients, and more. Perfect for equipment rental companies serving the construction, paving, oil, gas, and mining industries, our call center services can be customized with detailed company information. So give us a call today and learn how our comprehensive call center services can help your San Diego equipment rental company. LaBell Exchange offers highly reliable answering services 24 hours a day for San Diego property managers at very affordable prices. We use only the latest telecommunications technology on the market, which allows to personalize our services to your specific needs. When your prospective or existing tenants call our call center through your dedicated line, our operators will be able to immediately access your property management company's profile and protocols. They'll answer questions about your services, determine how to best handle each call, provide open house information or schedule site visits, take messages, and more. Plus, we can set up voicemail and advanced message forwarding as needed. To learn more about our property management answering services in San Diego, give us a call. Invest in legal answering services today and save. 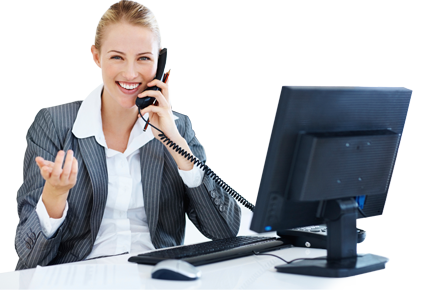 We provide San Diego lawyers and law firms with highly professional telephone answering services at cost-effective rates. Our live operators are well spoken, courteous, and detail oriented, and can be instructed to offer a wide range of services, such as general customer service, call routing, scheduling, message taking, client or information screening, call forwarding, and more. With these comprehensive answering services, our operators essentially become your virtual receptionist, representing your law firm during normal business hours, after hours, or 24 hours a day. We also staff English and Spanish speaking operators, and provide access to language line for clients that require translation services. Call today and learn more about our legal answering services for San Diego. At LaBell Exchange, we make it easy for San Diego bail bond agents to provide callers with immediate assistance. That's because we are available 24/7, answer most calls within the first three rings, offer priority queues, and are equipped to receive collect calls, ensuring we never miss a call from a prospective client. Our call center has the capabilities to train its operators or set up automated recordings to inform your callers of key information, such as your greeting, available services, payment options, and what data is needed to expedite bail processing. Plus, our answering services are reasonably priced. San Diego bail bond companies only pay for the services they use, and can choose from call routing, voicemail trees, operated assisted voicemail, 800 services, inbound telemarketing, information screening, scheduling, translation services, and more. So give us a call and learn more about our answering services for San Diego bail bonds companies. Our medical answering services offer San Diego health care professionals a number of solutions for managing incoming calls. Our staff consists of fully trained operators who are able to handle sensitive and urgent medical calls 24 hours a day. They always provide accurate, caring, and HIPAA-compliant answering services, and are frequently trusted to manage after-hours medical services using pagers and/or phones. 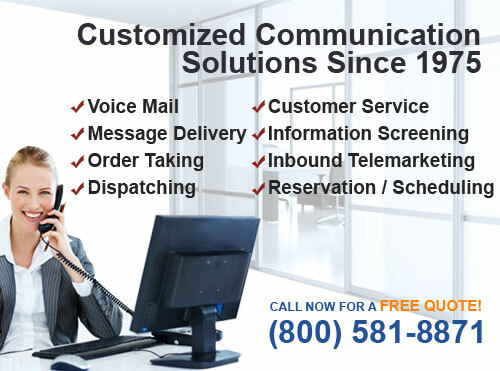 They can also provide custom answering services, such as operator-assisted voicemail trees, custom hold greetings, appointment scheduling, payment processing, translation lines, message taking, payment processing, emergency dispatching, and inbound telemarketing. Their services are ideal for after hours coverage, scheduling flu shots, screening calls, forwarding urgent messages, and answering commonly asked questions. So contact us today and learn more about our call center services help San Diego dentists, doctors, psychologists, hospitals, hospices, crisis centers, drug rehab centers, ambulance companies, veterinarians, and other health care providers. LaBell Exchange offers answering services to assist San Diego's municipal customers. Whether your clients need public utility services or licenses, we can be trusted to provide excellent over-the-phone customer service at a great price. Our rates are based upon usage, and plans are fully customizable. There are no long-term commitments and no hidden fees. 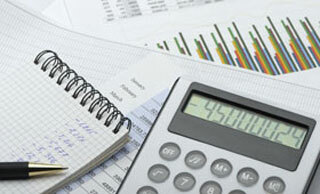 In fact, most of our clients report that they save money as a result of our inbound calling services. We can set up voicemail services, message taking and delivery, phone surveys, order taking, dispatching, and more. Additionally, our call center is capable of handling high call volumes and taking calls from non-English speakers, all to meet the needs of San Diego's diverse population. Call today to learn more.